The energy saving and the energy efficiency are the government goals. According to the federal law № 261 about the energy saving and the increasing of the energy efficiency and about the amendments to the legislative acts of the Russian Federation”, which was signed on the 23rd of November 2009 by the president D.A. 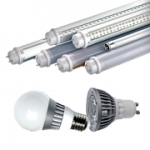 Medvedev, the implementation of the energy efficient technologies in the lightening systems with the LEDs- priority. The security increase because of greater mechanical strenght and vibration resistance. There are no glass details. ecological compatibility. It lets us protect the environment from any pollutant emissions. Special conditions for utilization aren’t required, because it doesn’t content quicksilver. 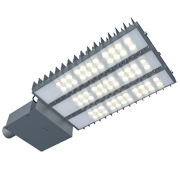 The big assortment of the LED – lamps and the LED- illuminators let us find the LED-analog practically for any standart lamp for the wide application, specifically for the apartment, house, office lightning, also for the illumination of facades and billboards. 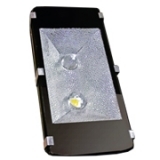 The LED-lightning can also be used for the decorative lightning of the show windows and the shops, as well as the road, street and park lightning.